The American Architectural Manufacturers Association (AAMA) has opened registration for the AAMA 80th Annual Conference, to be held Feb. 12-15, 2017 in Phoenix at the JW Marriott Desert Ridge Resort. This is the first-ever conference AAMA is hosting with the association's new conference restructuring plans put in place and also will feature the annual awards banquet during this milestone year. A special rate is guaranteed through Jan. 26, and attendees are encouraged to book before this date. 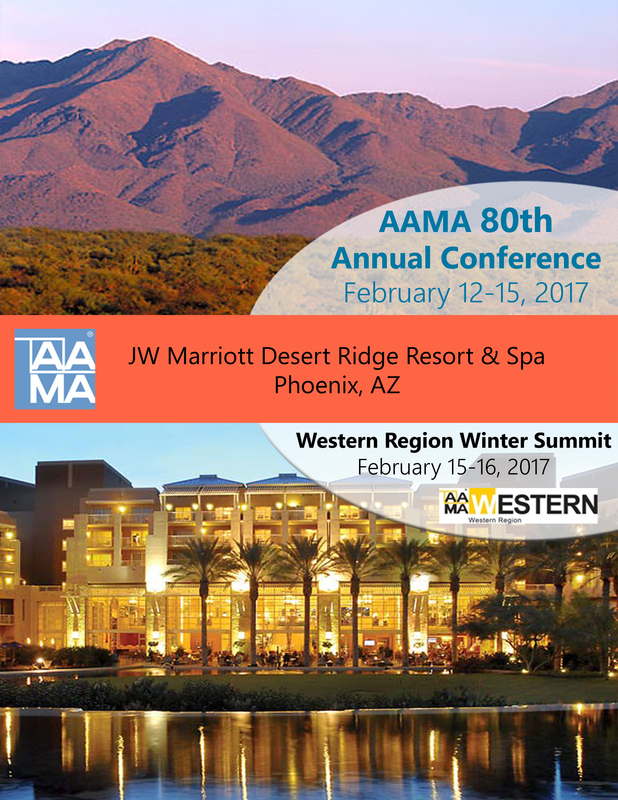 The AAMA Western Region Winter Summit will immediately follow the conference in the same location, and separate registration is required. As directed by AAMA's Board of Directors, a conference restructuring plan will be implemented at the AAMA 80th Annual Conference. Some of the main goals of the change are to eliminate redundancies, improve the reporting process and develop a conference schedule that enables participants to get the most value out of their financial and time investments in attending a conference. Participants will be given full details on the new schedule and meeting content at the event's Opening General Session and may visit the registration desk throughout the conference to relay thoughts or feedback. Conference registrants can look forward to the annual awards banquet the night of Feb. 13, which has the theme "Magical Illusions." Entertainment will be provided by mentalist Chris Caldwell and pianist Leonard Neil. As a mentalist, Caldwell demonstrates an uncanny ability to read minds as part of a 45-minute program. The dress code is business attire, and a jacket is recommended for photos. Optional Sunday events kick off conference, including a golf scramble tournament, a Sonoran Desert Hummer tour and a technical site tour of Atlas Material Testing Technology's weathering services. For more information about the Annual Conference, visit the event page. Later this year, the AAMA National Summer Conference will be held at the Newport Marriott Hotel in Newport, Rhode Island, from June 18-21. Wrapping up the year will be the AAMA National Fall Conference, which will take place Oct. 15-18 at the Hyatt Regency Hotel in Greenville, South Carolina. AAMA webinars are scheduled throughout the year, with at least one occurring each month, with the exception of conference months. The next AAMA webinar will be Jan. 10 and and will provide a brief history of the development of Canadian codes, look at the status of codes across Canada and follow up with a look at the future and where energy code may be heading in Canada. Registration is now open to the public. Check back with the AAMA Events page periodically for information on future webinars, and visit AAMA's Vimeo page for recordings of previous sessions open to non-members. More information about AAMA and its activities can be found via the AAMA Media Relations page or on the AAMA website.